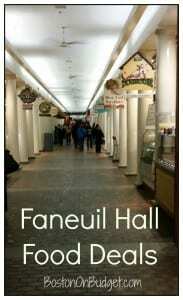 Faneuil Hall: Half Off at the Hall Promotion! 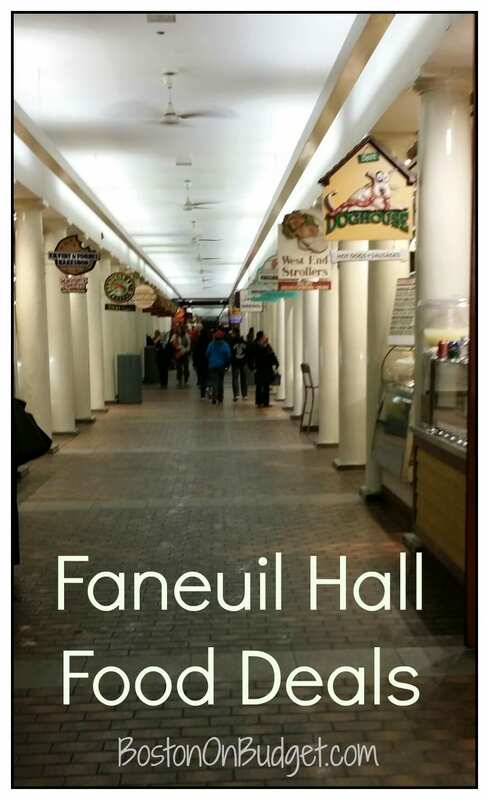 From now until March 31, 2015, stop into Faneuil Hall and receive Half Off at the Hall! Select restaurants and food vendors are offering half off select food items during the winter months at Faneuil Hall in Boston. Durgin-Park Restaurant: All desserts 50% off with any purchase of an entrée. Note from Kate: Last winter when Faneuil Hall ran a similar promotion, I didn’t notice food vendors directly advertising the offers via signage or anything, so you may want to ask before you purchase just to make sure the deal will work. For more information about Half Off at the Hall, please head here. For more food deals and specials in Boston, please head here. Will you be heading to Faneuil Hall this winter for some half-off deals? NOTE: This offer is only valid weekdays, Monday – Friday only.